The oldest of all the Hawaiian islands, the energy of Kauai carries wisdom and love in her wind. Kauai is a land of contrast, teaching us that in everything we can embrace the highs and lows, the sharp and soft, the rugged and polished. From the Na'Pali Coast to Hanalei Bay, the sights of Kauai are sure to impress - beaches, mountains, waterfalls, gardens, cliffs, and farms all await your exploring touch and footfall on her shores. As one of Hawaii's smaller islands, Kauai is serene and hidden, yet full of beauty and activity, whether you enjoy swimming, hiking, surfing, or simply relaxing, you will find plenty for days. Kauai gives warm air in the sun and cool moisture in the canyons; you will find your own peace and favorite place to breathe somewhere here. Hanalei Bay Pier at sunset. Our home on the Garden Isle.  Located on the Northeastern shore near the town of Princeville, we are housed on the land of the North Shore Community Center and Church of the Pacific, an active gathering place for the entire Kauai community. This spot is known as home to events everyone looks forward to - art fairs, dance performances, and internationally recognized musical talent such as Donovan Frankenreiter, Michael Franti, and more. There are views of the Pacific right out our door and we are across the road from expansive agricultural lands. All of Kauai's picturesque beaches and hiking trails are only an easy drive away.